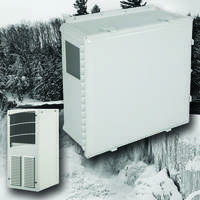 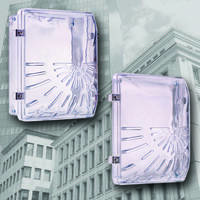 STI announces the large Break Glass Stopper® (STI-4100-FR) is now available with French labeling. 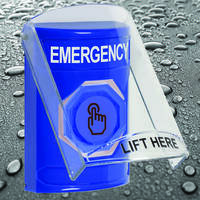 Accepted by many fire marshals, this version of the world famous Stopper II® is designed for areas where a “break glass” cover is specified, such as unsupervised areas. 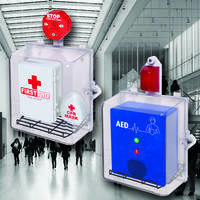 The Stopper consists of a red polycarbonate cover, mounting frame, a pane of single-strength clear glass (which is easily replaced when broken), French labeling, a glass-breaking bar, screws and anchors for installation. 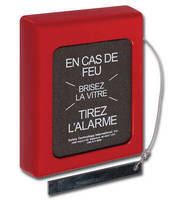 Aesthetically appealing, the protective cover is fast and easy to install and allows the fire alarm to remain clearly visible and accessible. 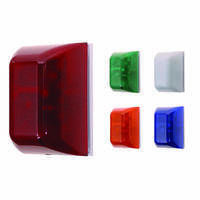 For more information on STI Break Glass Stopper (STI-4100-FR), or the entire Stopper® Line, call 800-888-4784, fax 248-673-1246, email info@sti-usa.com or visit www.sti-usa.com. 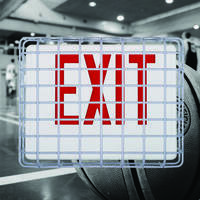 STI’s address is: 2306 Airport Road, Waterford, MI 48327-1209.